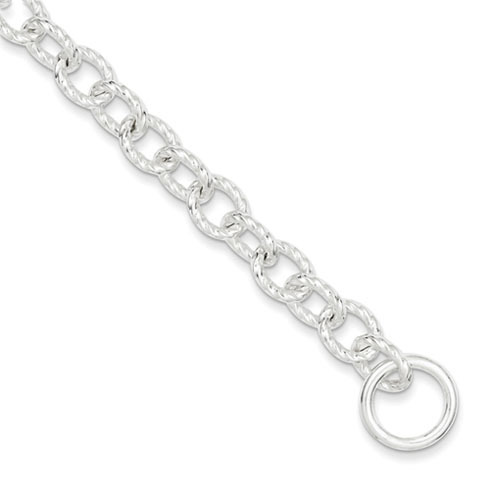 Sterling silver toggle bracelet has textured oval links. Length: 7.75 inches. Weight: 17.34 grams.